I get these questions all the time from fellow educators: “So how do I integrate Snapchat into my classes?” or “Can I write an entire curriculum based on Snapchat?” or “How do I fully integrate a digital learning environment into my teaching and stay up with the kids?” or “What is it that those youngsters are sending to each other all the time?” Well, here is that initial tutorial you have been asking for. And the little movie is pretty funny. 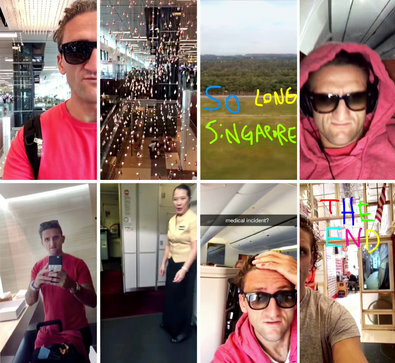 It’s by New York Times reporter Nick Bilton and Casey Neistat, who is a YouTube filmmaker. Moreover, his videos Make It Count and Crazy German Water Park both fulfill the Chapter 5 portrait project, one as a self-portrait and the other as a portrait of place.